Five Nights at Freddy’s for PC – Windows/MAC OS. 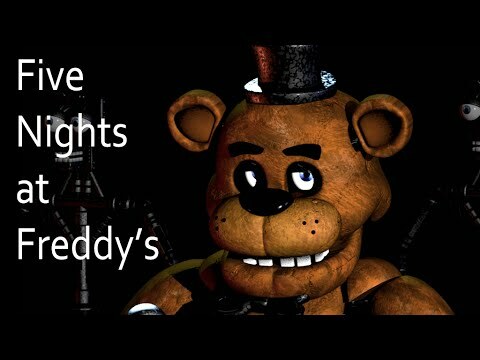 Today guys I am here to show a game called Five Nights at Freddy’s published by Scott Cawthon. This game is one of those cases where, due to its fame, I heard a lot about it before I ever played it, but because it wasn’t in my direct line of sight, I only half-listened to everything. Going into the game, I knew it was supposed to be really frightening, and involved the nightmarish horrors more commonly known as animatronic mascots trying to kill you, but that’s about it. Well, it turns out there wasn’t a lot more to it than that, but let’s start with the premise. You play as Mike Schmidt, a newly-hired night security guard at Freddy Fazbear’s Pizza, a restaurant similar to Chuck E. Cheese and its variants. The restaurant has seen better days following a couple of incidents, and can’t afford to let you go all wild using electricity. Everything you do consumes some of your precious power budgets for the night, and if you run out, it’s lights out. That doesn’t sound like such a big problem except for one little thing. The animatronic mascots that perform for the children during the day are a little bit off. They roam around at night so that their machinery doesn’t lock up or something, and if they happen to see you, they’ll assume you’re a robot out of costume and try to help you out. They’ll do that by cramming you into a Freddy Fazbear suit, but since they’re not meant for humans, the process will, unfortunately, result in your gruesome demise. And now let`s go through the gameplay. There’s actually quite a lot going on beyond the surface in Five Nights if you look for it. If you choose not to, it’s a very straightforward game that essentially pits you against your own paranoia and curiosity. That electricity percentage is basically measuring how much you can afford to indulge your irrational fears, and if you listen to your imagination too much, you will certainly lose. It’s enormously clever in its simplicity, almost like a magic trick played on your emotions. You’ll very rarely catch any of the robots moving, but in flicking between cameras, you’ll catch glimpses of them. More importantly, you can hear them, and without any background music or similar distractions, the sounds of their clanking around get the main stage in the audio. At the start of each night, you’ll also get a phone call from the previous security guard, who helps establish the setting and gives you some important tips, like checking in on Foxy from time to time. We never do find out his name, but he’s pretty much your only lifeline in the whole mess. Actually, it is not so as the PC version. It is a little bit strange to play a horror game on a mobile device, but with headphones it is ok!